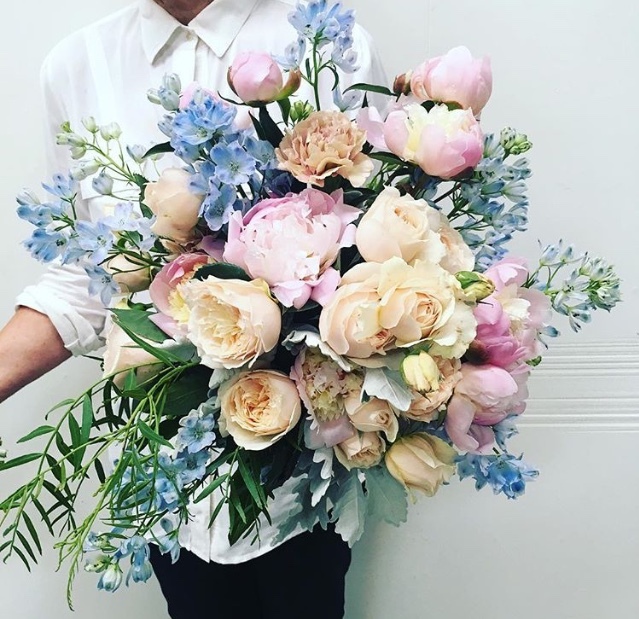 Geelong florist Judy Chirnside is known throughout the region for an illustrious career in floral design. Since opening her first store more than thirty years ago, Judy has provided flowers for countless weddings, special events and individuals. Now working from her home studio, Judy’s commitment to gathering the best flowers to create magic for her clients remains unwavering. Judy Chirnside Flowers provides everyday flowers, as well as flowers for weddings, funerals and memorial services, and special occasions and events. We invite you to browse our new website to see a selection of some of our favourite floral designs. Whether you are looking to place an order for a small arrangement, or discuss floral arrangements for your next event, we invite you to give Judy a call. We deliver throughout Geelong, the Surf Coast, Bellarine Peninsular and Melbourne. © Copyright 2018 Judy Chirnside Flowers. Website by Swiftfox.